I received this item at no cost to me in exchange for my honest review. For more information see our Disclosure Statement. 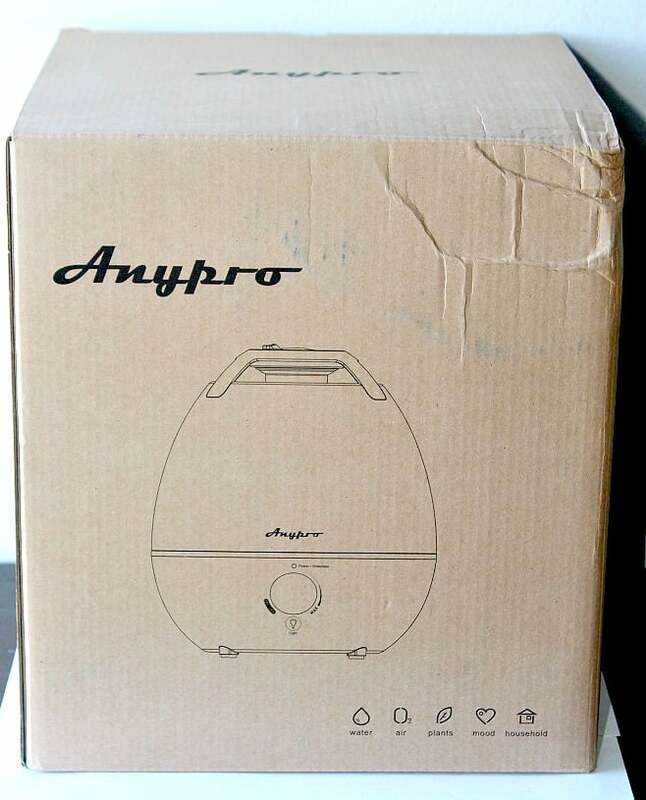 If you are considering purchasing a humidifier this Anypro 3.5L Cool Mist Ultrasonic Humidifier review may help you decide if this is the right one for you! Both of my children have allergies, dry skin, and patches of eczema so using a humidifier, especially during the winter months, is a must! We weren’t thrilled with the humidifier we currently use in our youngest son’s room, so when the opportunity came to try and write an Anypro 3.5L Cool Mist Ultrasonic Humidifier review, I decided to take it with the hopes we would like it better than our current one. This post may contain affiliate links. See our Disclosure Statement for more information. The design is well thought out making it easy to use. The tank is large and can hold enough water to last 20-36 hours before needing to be refilled. I love this because our other one needs to be refilled every day and sometimes we will skip a night or two because of this. 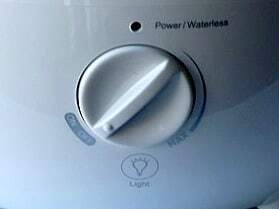 The amount of vapor can be controlled with the dial on the front, and the top portion can be adjusted to control the direction of the vapor. You can easily see the amount of vapor being released. There is also a built-in aromatherapy drawer that can be used for essential oils if desired so you don’t have to put them into the tank which can damage the materials. Under the dial on the front is a night light button. The night light can be turned on only when the humidifier is in use. There are 6 different color options. This is a great feature for children who sleep with night lights. 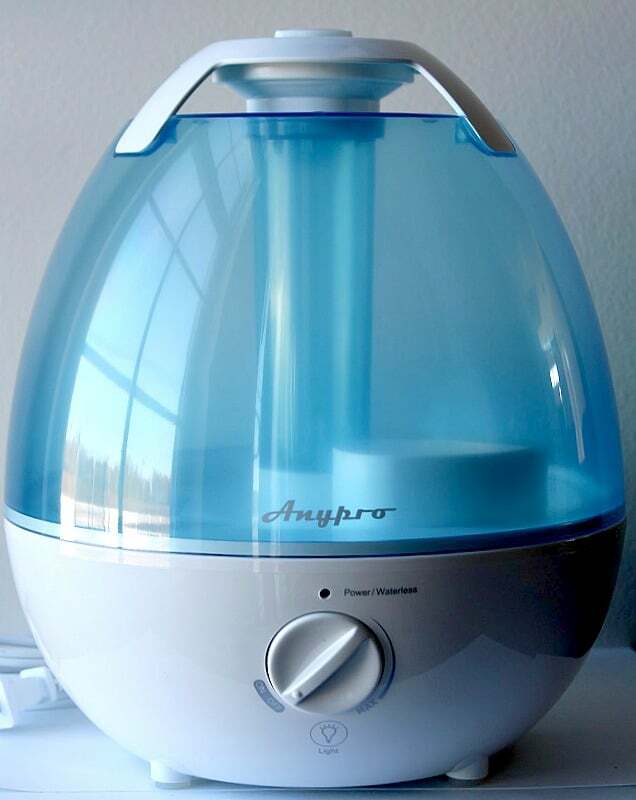 My two favorite features of the Anypro Humidifier are the fact that it’s made to have anti-bacterial properties and it’s almost silent when in use making it a great choice for those that use humidifiers overnight. 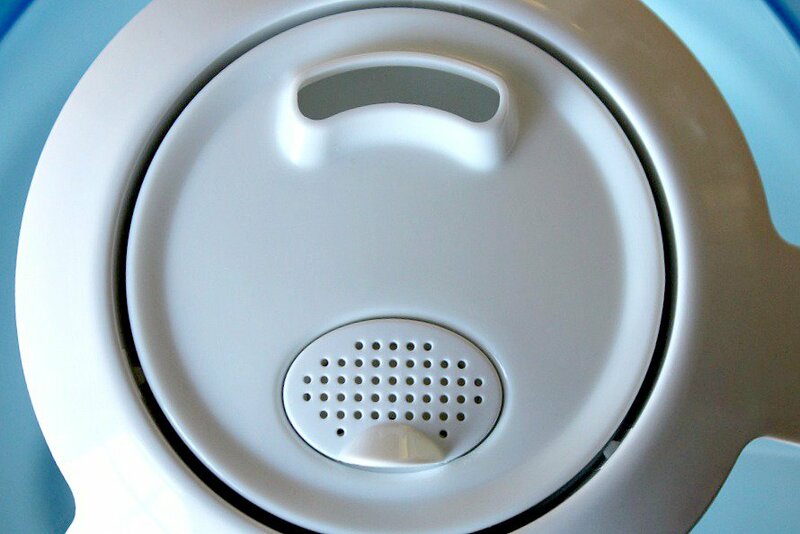 While I am very impressed with this humidifier overall, it’s not without flaws. I would love to be able to “lock” the top portion into place. This may not be an issue for everyone, but my kids are really great at knocking things over. I also had a really hard time opening the aromatherapy drawer. I had to use a butter knife and pry up each side. I think you could just add the essential oils through the holes on top, but if you ever wanted to change the pad inside, this made it difficult to do. This could have just been an issue with my particular unit, though. 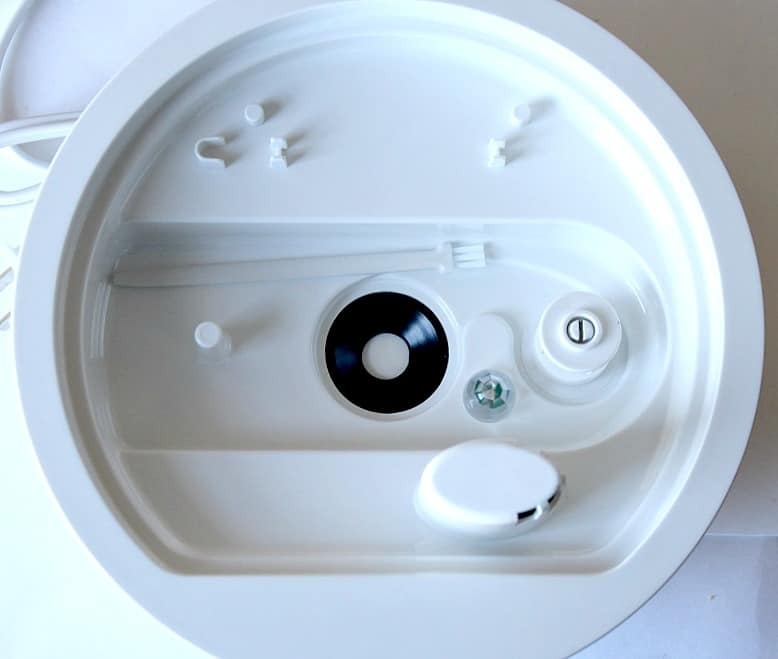 And finally, the humidifier is designed in the U.S.A. but is actually made in China. The directions are easy enough to figure out, but you can tell that they are written by someone who only has basic knowledge of the English language. For those that prefer to buy U.S.A. made products, this will not work. Would I recommend this Anypro Humidifier? Yes. Compared to the other one that I have, this is by far superior. It’s unbelievably quiet, can hold enough water to last several nights, and is very easy to use. 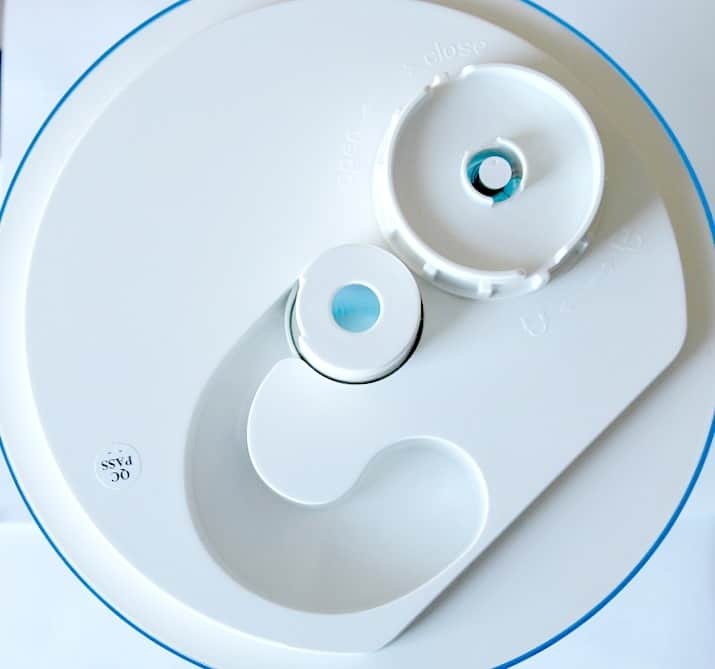 Other features, such as the night light, aromatherapy drawer, and anti-bacterial properties are added bonuses. The current price of the Anypro 3.5L Cool Mist Ultrasonic Humidifier is currently $54.99 on Amazon. When compared to other similar humidifiers I found it to be reasonable priced, especially given the larger size and added features. **UPDATE – use coupon code 4HEG2E4N to make the cost only $45.99! I hope that this Anypro 3.5L Cool Mist Ultrasonic Humidifier review answered any questions you may have regarding this product. If not, feel free to leave a comment or send me a message!